With this small but powerful interface, Reloop presents one of the smallest DJ soundcards that can be found on the market “ with an outstanding 24 bit sound quality. Special hi-gain outputs allow a pounding club sound catering for lowest latencies, courtesy of the USB 2.0 ASIO/CORE driver technology. 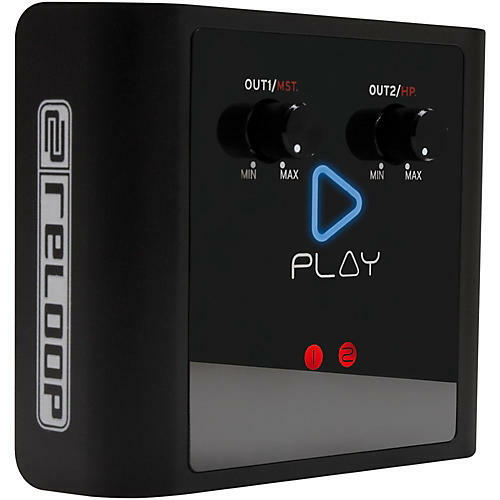 Reloop Play offers two play modes. On the one hand there is the external mixer mode: with it, it is possible routing two separate stereo channels to an external mixer “ all professional Traktor users will appreciate this. The second mode is called the controller mode: In this case a master output is routed to the sound system and it is possible to connect headphones directly to the interface “ this mode is perfect for laptop DJs without further hardware. Both stereo channels volume can be comfortably adjusted via separate controllers. The signal status LEDs allow a visual monitoring so that everything remains in view and under control. Small, professional and always present: Plug&Play.